We're so excited you're here, we might just wet our plants. Spring is here, so Megan Bartholomew, associate editor at Utah Style and Design magazine stopped by to help us decorate and celebrate all season long. For the Spring issue, US&D included local house tours, highlights of some favorite designers and suppliers, and spring gardening tips from Wilde Honey, a self-serve floral bar that runs out of a Bahama-Blue Volkswagen truck named Oliver. 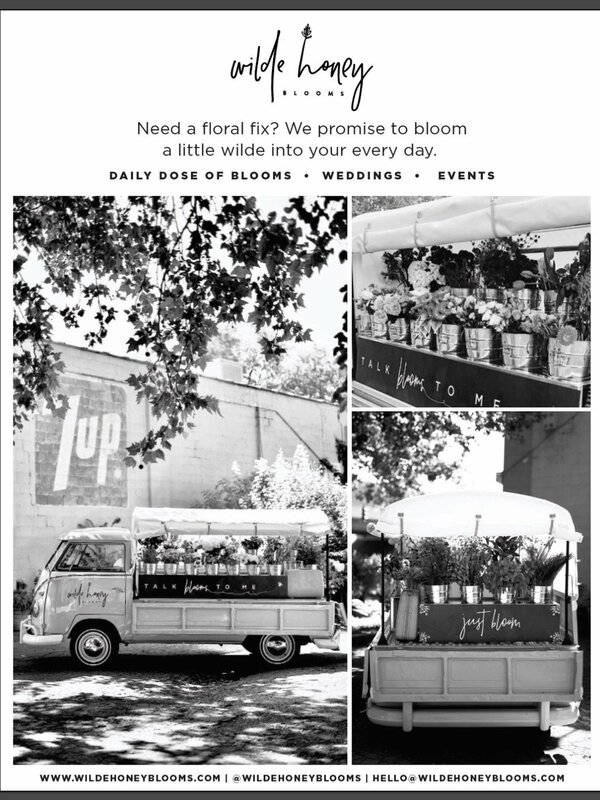 With her iconic VW pickup loaded with buckets of fresh-cut flowers, Shiann Chambers brings a fun and easy way for bloom addicts to get their floral fix all over town. Wilde Honey was proud to support our hometown during the Miss Spanish Fork Pageant for 2019.